Kieran and Kathleen Rigney have celebrated their 60th wedding anniversary at the Grand Hotel in Moate. 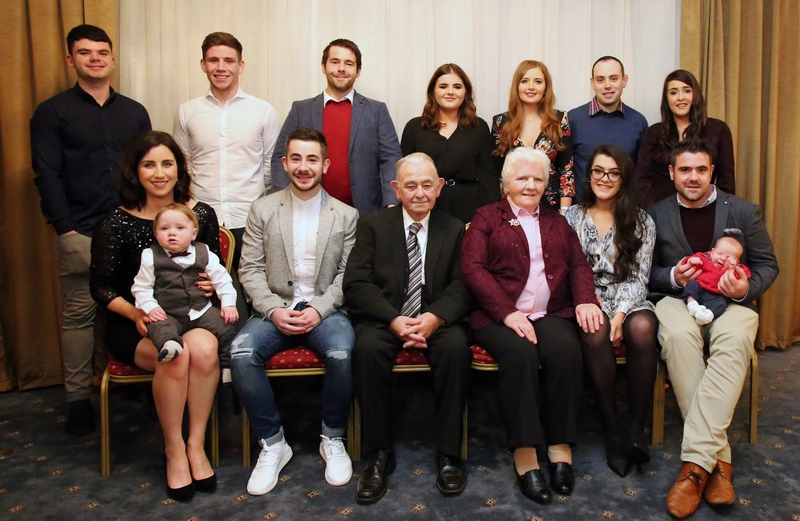 The Doon couple were joined for a night of reminiscing by their children Mary, John, Ann, Kieran, Kathleen and Jim with their partners, along with a large gathering of grandchildren and their great-grandchildren, Senan Hart who is a year old and Jack Reynolds who is three months old. The family shared a lovely evening of memories was had and new ones made by the end of the night. PICTURED: Back L-R Kieran Rigney, Justin Coughlan, Daniel Reynolds, Saoirse Rigney, Aoife Rigney, Aaron Rigney, Elisha Reynolds Front L-R Darina Coughlan-Hart with her son Senan Hart, Blaine Rigney, Kieran and Kathleen Rigney, Kaitlin Rigney, Vivian Reynolds with his son Jack Reynolds.